With fall going strong and winter soon upon us, I’m in the mood to celebrate…everything! Bring on Friendsgiving. Let’s host a holiday potluck. It’s time to celebrate the best of the past year and bring in the new one with friends and family. Whatever event you have in the works, I’m thinking sangria might be the perfect drink du jour. I love serving sangria at parties. I know it often seems like a summer drink, but I’ve got four ways to bring the cool-weather vibe to this most popular of pitcher drinks. Not only are these sangria recipes easy to make, but they are the perfect anytime sipper. Loaded with fruits, juices, and spices of the season, you’ll find the perfect sangria for every fall and winter party you are throwing this season. I’m not sure which is my favorite of the bunch…Pumpkin Pie Sangria? Winter Citrus Sparkling Sangria? It’s hard to pick a favorite. The best advice I can offer? Try them all! While many of the recipes below include liquor, all of them can be made without it by simply adding an extra splash or two of wine, juice or soda. 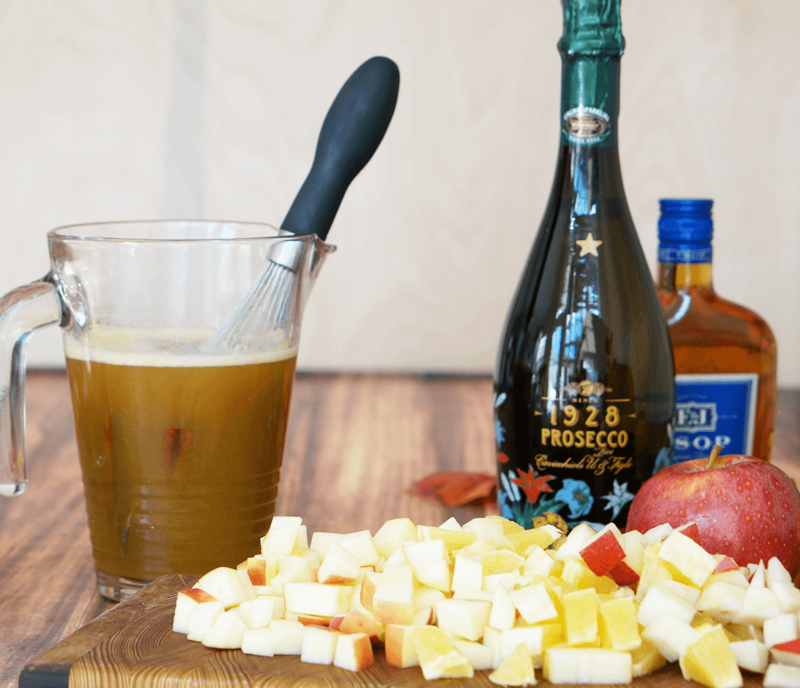 Pumpkin pie meets cocktail in this festive sangria perfect for Thanksgiving. Serve in a pumpkin pie spiced sugar-rimmed glass for the ultimate treat. Combine pumpkin puree, pumpkin pie spice and apple cider in a pitcher. Using a handheld immersion blender, process until smooth. Pour in remaining ingredients (except the champagne), and mix. Refrigerate for at least one hour. When ready to serve, pour sangria into glasses and top with sparkling wine. 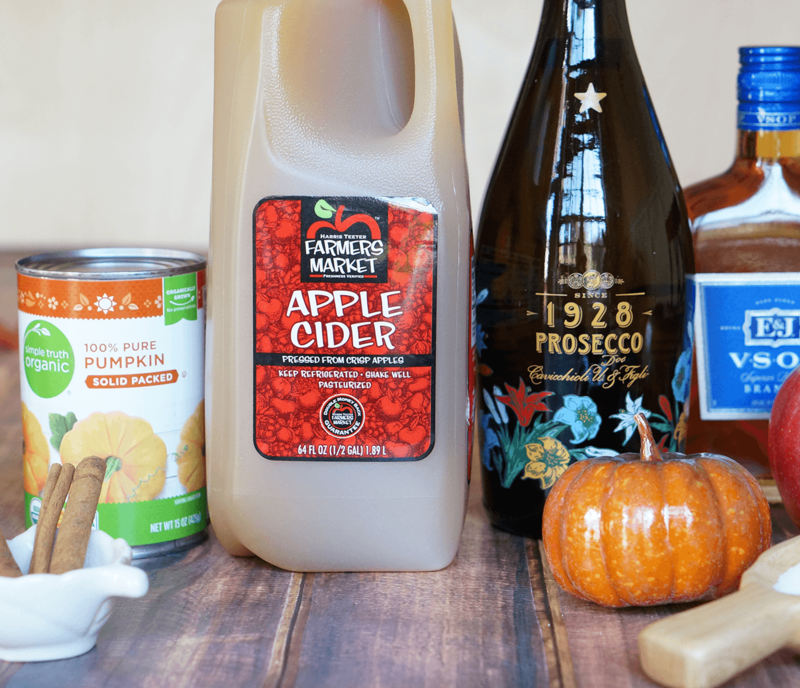 If you’d like to serve the Pumpkin Pie Sangria in a glass with a sugared rim, combine 3 Tbsp. sugar with 1 tsp. pumpkin pie spice in a shallow dish. Add a few tablespoons of water to a second shallow dish. Dip your glass in the water, then into the sugar mixture. 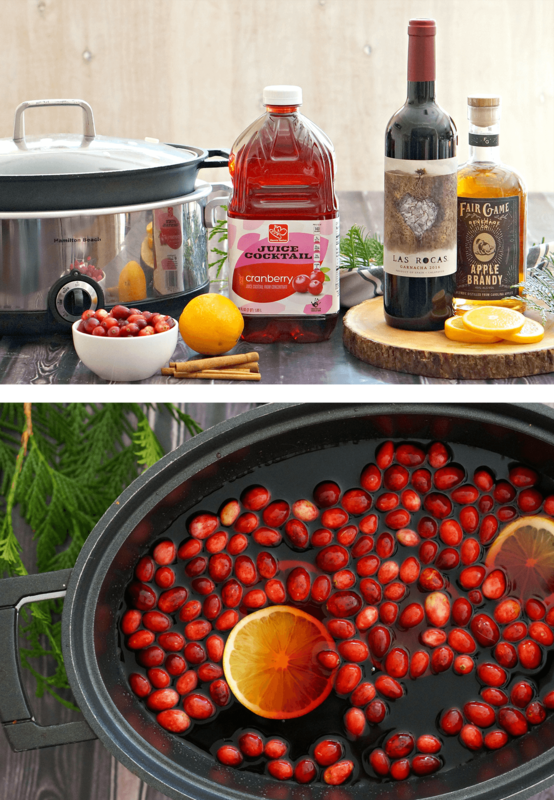 Tart pomegranate seeds and sweet vanilla meet in this perfect winter sangria. Serve in copper mugs for a festive treat at any holiday get-together. Add fruits and pomegranate arils to a large pitcher. Pour in wine, juice, brandy, sugar and vanilla. Stir to combine. Cut a slit lengthwise along the vanilla beans and use a small spoon to scrape out the bean paste. Add the paste and emptied pods to the pitcher. Mix again and refrigerate for at least one hour. When ready to serve, pour sangria and fruit over ice and top with club soda. 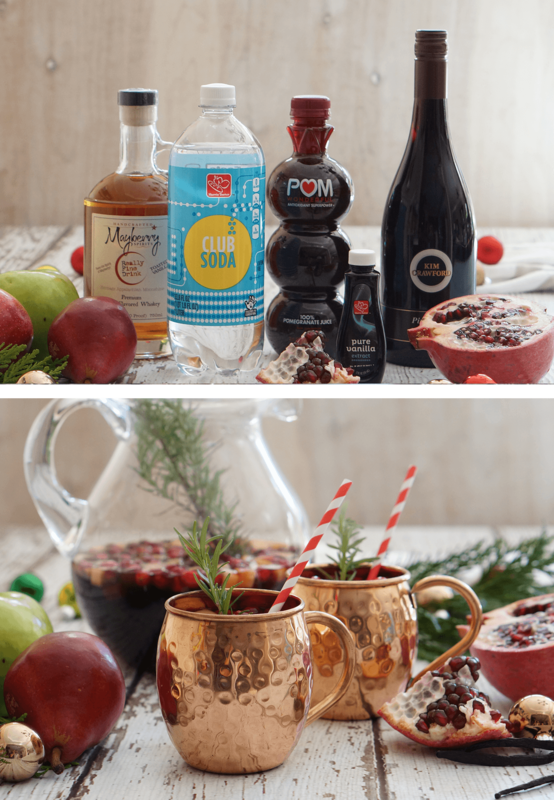 Every winter holiday party deserves a toast with our Winter Citrus Sangria! 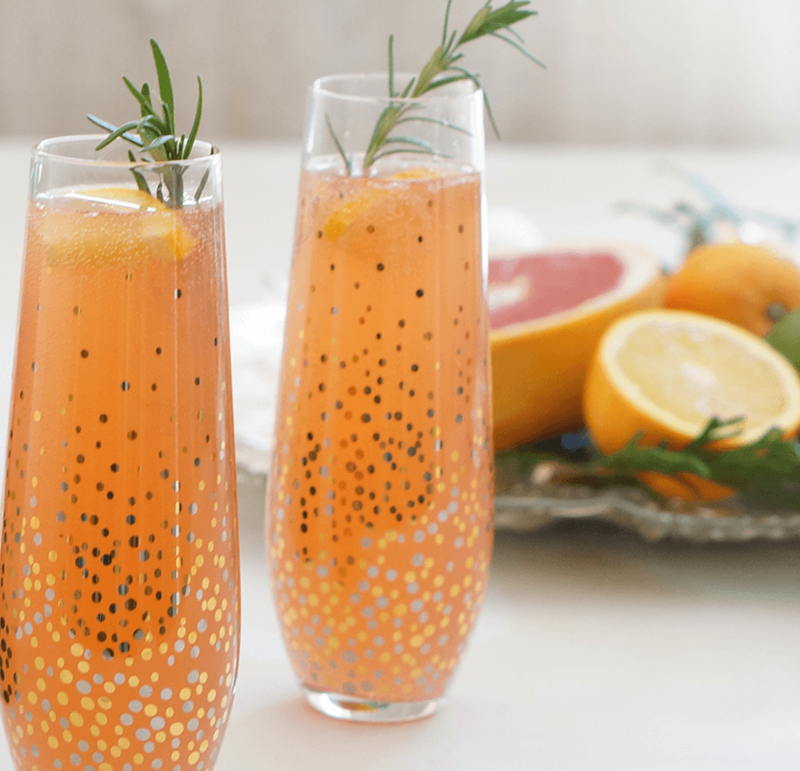 Select your favorite winter citrus to star in this tart and bubbly drink. Combine rosé wine, grapefruit juice and sliced fruits in a large pitcher. Refrigerate until ready to serve. Pour into glasses and top with champagne. 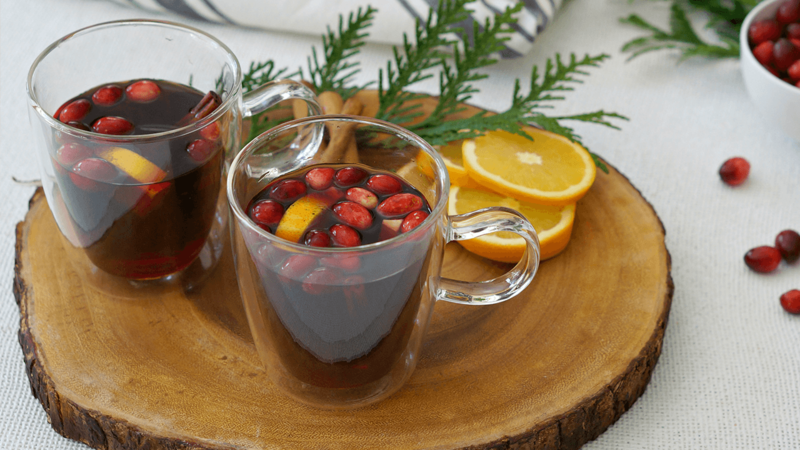 Warm up from the inside out with this Slow Cooker Sangria. Loaded with cranberries and seasonal spices, this will be the perfect addition to your holiday party. Combine all ingredients in a slow cooker. Cook for one hour on high, then reduce temperature to low for up to five hours. Serve with an additional cinnamon stick garnish, if desired.